Accidental falls have been stated to be the most common cause of injury in Canada by the Canadian Institute for Health Insurance. These often lead to a trip to the emergency department and occasionally the injuries are severe. In 2017, it was reported that 1800 people rushed to ED after sustaining a fall and out of these, 417 people needed to stay overnight at the hospital. Elderly people were the ones with severe injuries while children and young adults were also recorded. Injuries caused by slip and fall increase during the winter season because of snow, ice, and other slippery conditions. Although the government of Canada tries to do its best to maintain non-slipper sidewalks and other surfaces but even a single patch can make an individual fall down and break a bone. Hip injuries happen very commonly when a person falls down while walking but this problem is very serious for seniors because, at their age, they lack the physical strength to completely heal and may end up with a lifelong problem. Complications related to hip injury can be fatal too. 1. Wear shoes with deep treads during winter to reduce your chances of slipping. 2. Be careful while going down the stairs and if it’s wet, hold on to the handrail. 3. Pay attention to the floor you are walking on and if it’s wet/icy be extra cautious. 4. Try to avoid walking on cracked sidewalks and poorly maintained walkways. Kalsi and Associates is a team of legal professionals who can guide individuals with their personal injury through slip and fall litigation. They can help you with most types of personal injuries including catastrophic accident litigation, slip and fall, motor vehicle accident and claims related to them. The team at Kalsi and Associates personal injury lawyers strives to protect the rights of the clients while staying committed to providing justice and a fair compensation. Parking lots are not only prone to violent episodes but can pose a hazard for Slip and Fall Accidents. Many workplaces are close to Parking Lots. You may not be working there, but you are still at risk of injury, in any parking lot. Some of the factors that contribute to such accidents include deteriorating surfaces. When walking in a parking lot, watch where you step. Flat and even surfaces, are the ideal places to walk on. Avoid walking on gratings or broken pavement. Also, watch for spillage of oil where cars are parked. They aggravate the situation. Antifreeze and weather conditions may also increase the risk of a slip and fall. Look out for speed bumps. They may cause you to trip. Pay attention to any tire stops, as you walk. During winter it is appropriate to wear anti-slip footwear. If you notice any hazardous conditions in the parking lot, report it to the relevant bodies. Watch out for cars and spillage. When walking through, don’t assume that the driver will see you first. Your safety should be your number one priority. And if you are in a position to prevent an accident from happening, then, do so, for the sake of other people. Although optional, it is important to have a Personal Injury lawyer if you get injured in a motor vehicle accident or a Slip and Fall. Statistics show that one out of three Canadians will be involved in an accident in their lifetime. If you are injured in an accident, you need to start the claims process. Medical expenses due to an accident may be well over your current Medical Insurance plan, and you could lower the cost of treatment by tapping into the medical benefits you may be entitled to. Having a Personal Injury lawyer of Kalsi & Associates by your side is a one-step forward, to a smoother claims process. Don’t just settle for any lawyer. 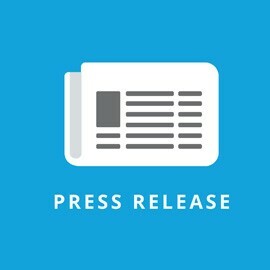 Find out more about Kalsi & Associates and how they put your interest forward when taking your case. Ask as many questions as you would like before you make a decision of choosing Kalsi & Associates as your personal injury lawyer. At Kalsi & Associates, FREE consultation is provided, whether or not you choose to have them by your side for your personal injury inquiries. Call Kalsi & Associates (844) 905-2993 or apply online. If you happen to be involved in an accident and suffer an injury, be it a motor vehicle accident or a slip and fall, you may need a personal injury lawyer. The lawyer’s duty is to plead your case and try to ensure that you get a significant settlement. The accident may lead to injuries on the head, neck, etc. As you undergo treatment at any medical center, a personal injury lawyer will be working on your case. So, how do you choose an ideal lawyer for your case amongst a pool of lawyers? It is not an assured that a lawyer who specializes in Personal Injury law will ensure the success of your claim. But, it is an added advantage to have one, as they have a better understanding of the motor vehicle insurance and personal injury systems. The experience levels of your choice of a lawyer may also play a significant role in your case. Find out if and how many cases that are similar to yours, that the attorney has handled in the past. Asking questions will help you to understand the lawyers that you approach or approach you, better. Ask whether the first consultation is free. Know the objective of the lawyer. Talk to the team of lawyers before you settle. Do they only want to settle quickly and then proceed to the next case? Does the lawyer understand your injuries at the back of their hands? Once you have asked all questions, the next step is settling for a particular lawyer. Depending on your interactions with the lawyers, it may be best to settle for one that you feel at ease with. Settle for one that answered your questions satisfactorily. At Kalsi & Associates, we offer FREE consultation. If you don’t know who to hire as your Personal Injury Lawyer, you can reach out to us. Many Canadians experience slippery walking conditions outdoors through the years, but slips and falls with potentially serious consequences can also occur on indoor surfaces. 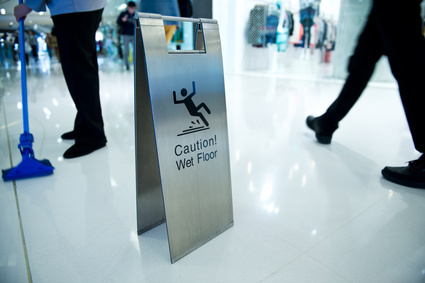 Slip and fall injuries cases can increase a lot as the population ages and the World Health Organization estimates that 1 in 3 people with 65 years of age or older falls each year. Therefore, to reduce slip and falls, the selectio n and maintenance of appropriate flooring is an important factor but there are other ones that can contribute to a person’s slipping such as individual walking biomechanics, environment and walking surface and footwear properties. In fact, the selection of appropriate footwear can prevent slip and fall cases from happening. It is important to choose shoes with high slip resistance and replace them once they are used so much. But the use of proper footwear is not the only factor to prevent slip and fall. Pedestrians can adapt to the surface they are walking on and other types of footwear, so experience is also a factor. This explains why some people tend to slip and fall in some surfaces while other people walking in the same area do not. These are just a few explanations regarding this subject and there is still a lot of research being done to provide a better understanding regarding the right kind of footwear to avoid slip and fall cases for pedestrians and workers. 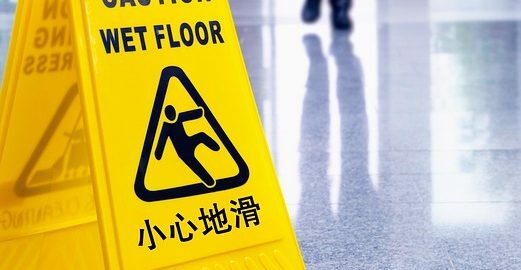 If you did suffer some kind of injury from a case of slip and fall, make sure to get proper medical assistance as soon as possible and later contact a personal injury lawyer like Kalsi & Associates to get your case solved correctly.